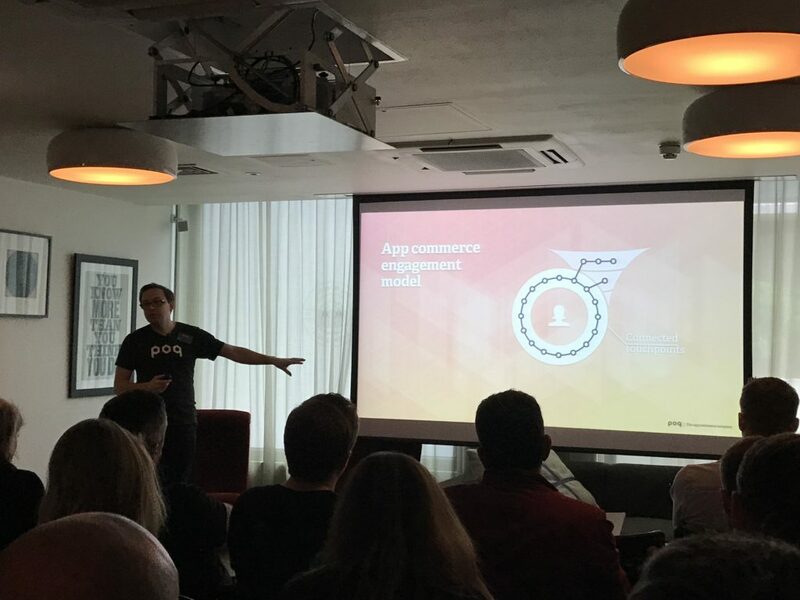 This September, we launched our first ever #appcommerce event focused on the rapidly evolving world of omnichannel retail and the integral role that mobile apps can play. 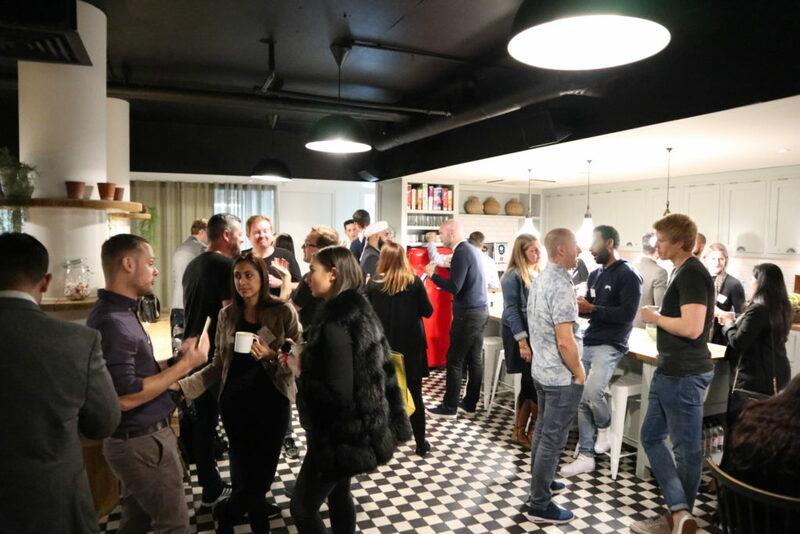 The uptake was fantastic, with a suitably relaxed event space at the Hoxton Hotel in Shoreditch packed to the rafters with the who’s who of retail. An impressive array of brands joined the day, showing that app commerce is well and truly on the agenda of the world’s leading retailers. Our CCO Mike Hann kicked off the day by inviting our guests to collaborate, share and enjoy the openness of the informal setting. He shared some great stats that demonstrated the growth of app commerce over the past few years, such as unique app shoppers on the Poq platform jumping from 700k in 2015 to 10m in 2017, and a total of 770 years spent in Poq powered apps in 2017! 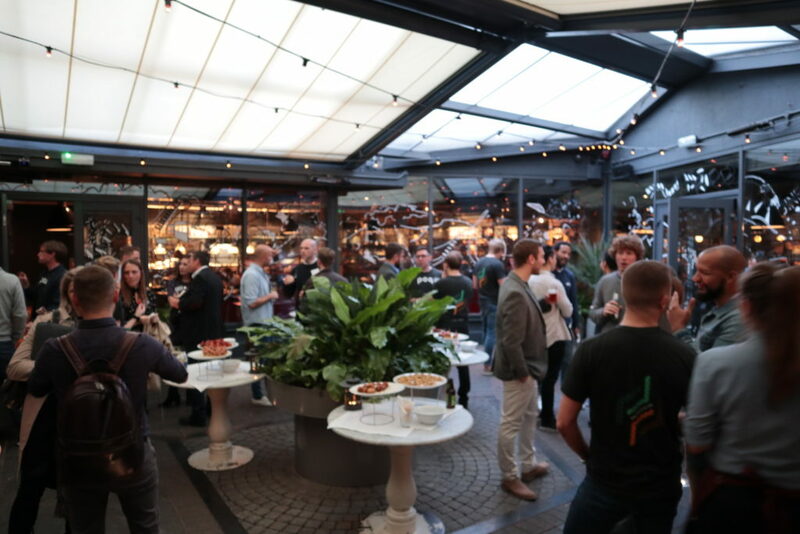 As echoed here by one of our guests, there were certainly too many insights for us to cover everything here, but here are a few of our key takeaways from our excellent lineup. 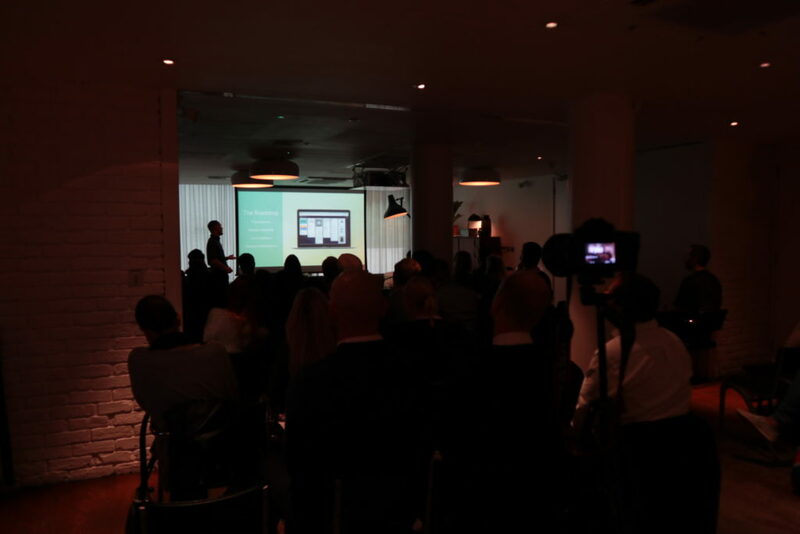 Poq’s CEO Oyvind Henriksen reminded the room that customers spend 5 hours per day on mobile! 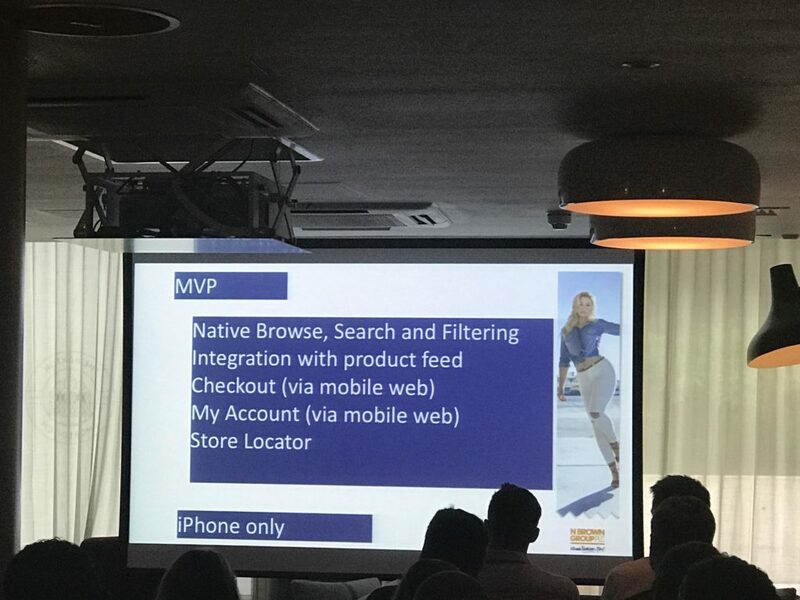 In his app commerce engagement model, he explained that apps can cut skip the traditional sales funnel entirely by engaging the customer across multiple touchpoints and devices. 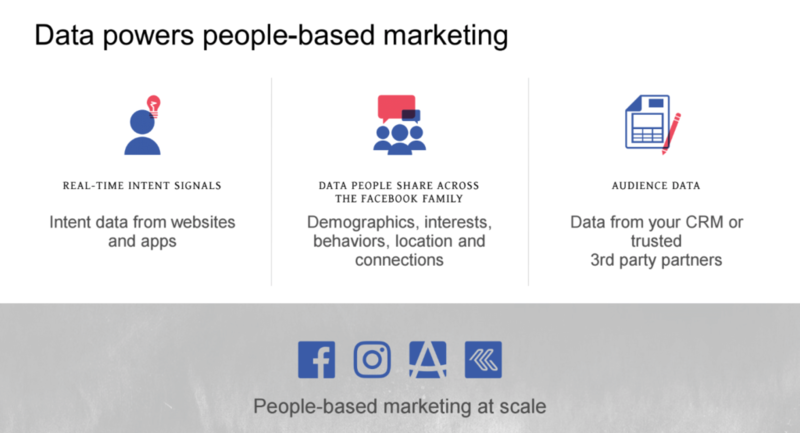 On the theme of engaging the customer, Facebook’s Abi Tucker covered how, by combining the rich data offered by Facebook and Instagram, with CRM data and intent data from other websites and apps, retailers can develop highly targeted campaigns that deliver downloads. 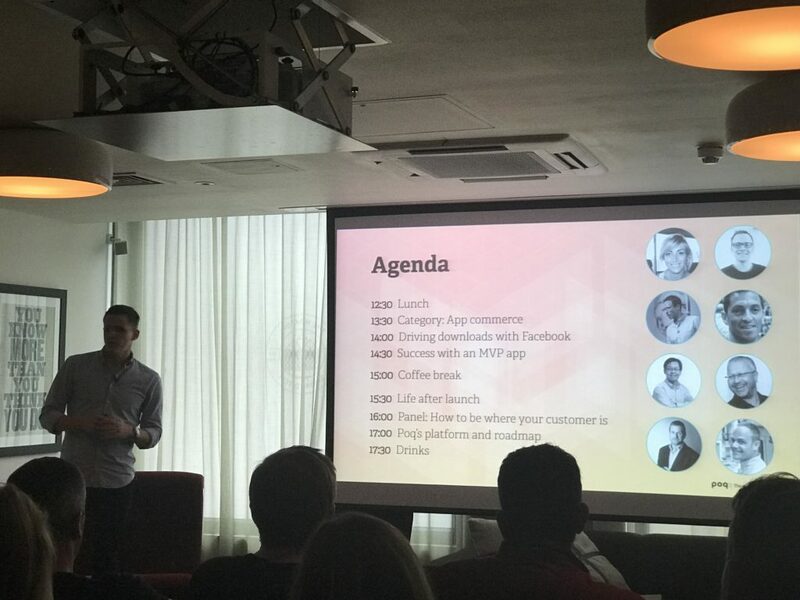 Before embarking on a highly engaging Q&A session, N Brown Group’s CTO Tim Price explained how group brand SimplyBe proved the assumption that an app was a good idea, by building a small, agile team to launch an MVP app with out-of-the-box Poq platform features. Immediately outperforming the mobile website (which had been developed for more than 10 years), Tim explained that the key finding was that ‘customers love apps’ and they are now investing further in the channel. John Allen, CTO of Missguided imparted his wisdom on post-launch strategies and reinforced the message that the most successful apps add features over time. 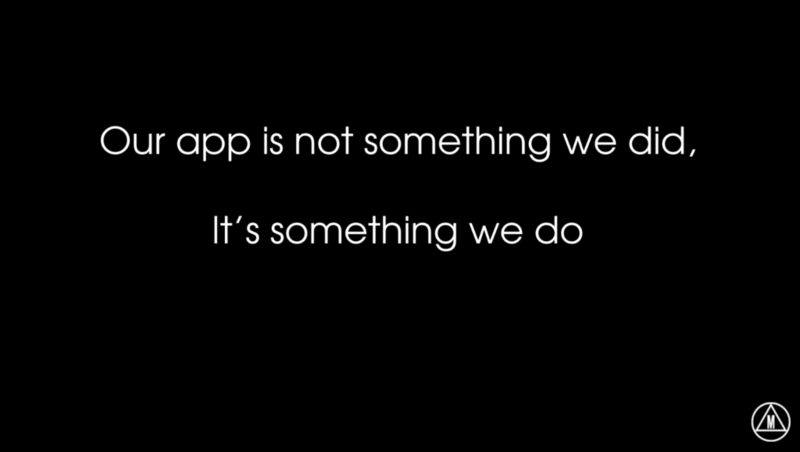 He stressed the importance of considering the customer and agreeing a roadmap for the app following launch. He also shared some of the launch activities that Missguided planned in order to secure initial success, ranging from a simple banner on the mobile website, to engaging with influencers and offering app-exclusive discounts. On the topic of ‘how to be where your customer is’, our esteemed panel (Andy Harding, Mothercare; John Allen, Missguided; Ian Jindal, InternetRetailing; Chee Wong, formerly Shazam & Hailo), were all on the same page. Actively listening to customers and their preferences was key, not trying to be on every single channel that surfaces, investing in the meaningful and keeping it simple were strong points from all four panellists who shared real world examples from their different backgrounds. The road to innovation has no end! Wrapping up the day, Poq’s Head of Product Balint Szeplaki shared how we shape our product roadmap, what’s in the latest release and what’s coming up next. He also shared our long term vision emphasising that innovation is a continual process and Poq will lead the way in the evolution of app commerce. Networking breaks proved fruitful, with the Poq team often having to break up deep discussions to usher people back into the meeting space. It was great to be the facilitator! Thank you so much to all who joined us. We look forwarding to welcoming you back alongside many more for #appcommerce 2018!